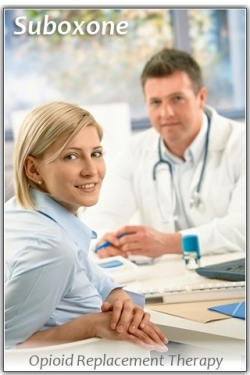 When a new client joins a methadone program, they go through a process called induction. Induction is the initial delivery of a methadone dose and the subsequent increases in dosage over the next 1 to 2 months as the medical team help get the client stabilized & comfortable on a dose of methadone that effectively eliminates their painful opioid withdrawal symptoms. Induction is historically a high risk span of time since there is an increased risk of accidental overdose with methadone. It is extremely rare that overdose occurs during induction especially if clients are abstaining from other illicit substances during the induction process. Therein lies the dilemma. Some clients become impatient with the process of methadone induction and will supplement their methadone dose with other unapproved opiates or benzodiazepines. This is dangerous and actually undermines the benefit of what methadone can achieve for the patient. To help the treatment team determine the level of methadone increase to provide a patient, they use the Clinical Opiate Withdrawal Scale, or COW Scale. 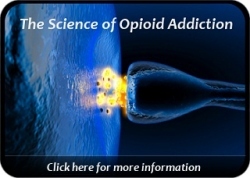 This is a withdrawal assessment tool that helps the clinical or medical team determine the prevalence and severity of opioid withdrawal symptoms. The scale produces a score based on the client’s reported symptoms and the team’s observation of withdrawal symptoms. The higher the COW scale score, the more severe the symptomology and thus a greater justification for allowing a higher dosage increase. Some clinics are known to take clients up 10 mg at a time. Many physicians consider this high risk and too rapid of an increase. Note that methadone is a slow acting, long lasting opioid agonist with a much longer half life than heroin and most other prescription opioids. What this means is that methadone stays in the system much longer and builds cumulatively over time. So the actual effect of a dosage increase is not immediately felt and may take 1-3 days before the full effect of that dosage increase is realized. With an impatient client, they may receive a dosage increase but not feel the immediate relief they were hoping for. Consequently, they may use additional unapproved opiates that then mix with the methadone increase that is still being absorbed into their system. This puts the client at risk of overdose. Many clinics use 5 mg increases every few days while some clinics adjust each requested increase in accordance with the COW Scale score. For example, a client may receive several 5 mg increases because they have moderately severe withdrawal symptoms, but then receive a 3 mg increase days later and possibly a 2 mg increase days after that as the symptom severity begins to diminish. This more cautious approach reduces the risk of overdose while still addressing the client’s unresolved physical discomfort. A well-managed methadone induction is tailored to the individual client’s needs, and the client’s safety is always the chief concern. Methadone dosage increases are provided only to alleviate measurable physical withdrawal symptoms or closely associated anxiety, restlessness, or psychological distress from withdrawal.